When the Saints go marching in! 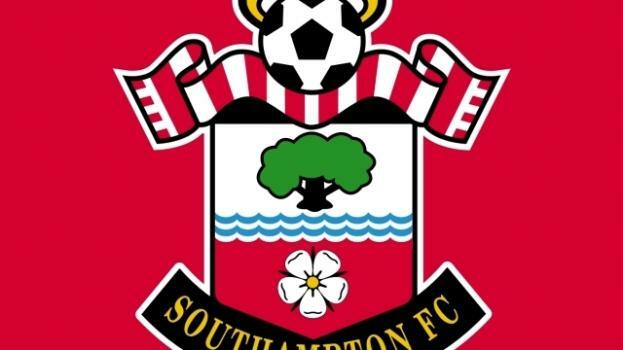 Southampton Football Club (Founded 1885) is an English Football Club based out of the city of Southampton. They are currently part of the English Premier League where they are enjoying a successful season. They have been playing their football out of the "Saint Mary's Stadium" since 2001, when they moved from their old ground, "The Den". The stadium itself is a relatively small stadium for Premier League Standard having a 32,505 capacity. They are better known to most football fans as the Saints. They have been in the Premier League since they got promoted in 2013. They enjoy a local rivalry with Portsmouth FC due to their proximity. The club is famous for its youth academy where they are reknown for nurturing many quality players such as Gareth Bale, Theo Walcott, Calum Chambers, Adam Lallana and Alex Oxlade-Chamberlain. The Saints were relegated in 2005 after 27 years in the top flight division of England. Their relegation to the Championship created a domino effect regarding their finances. In the following seasons, the club consistently changed managers and owners and in 2009, they were deducted 10 points as their parent club went into administration. There was huge controversy as the club itself did not go into administration however prosecutors claimed the parent company and Southampton FC essentially formed one larger company. The 10 point deduction was upheld and they were relegated to League One. By now they were the biggest team in League One and were acquired by Markus Liebherr who invested heavily in players. They spent £3 million on players like Jose Fonte and Rickie Lambert. They finished 7th in their first season in League One. In the summer of 2010, Markus Liebherr passed away but the club's future had been provided for. They signed Nigel Adkins at the start of the 2010 season. Adkins was a huge success and led them to two back to back promotions which saw them return to the Premier League for the 2012/2013 season. Their promotion push was lead by Rickie Lambert who was the top scorer in the divisions in 3 of the last 4 season. Since they became part of the Premier League, they have never looked back. Adkins was replaced by the Argentine Mauricio Pochettino in January 2013 and saw Saints enjoy some good results against the top clubs. The 2013/2014 season was hugely successful for Southampton, with their British Players being hugely influential. The likes of Adam Lallana, Jay Rodriguez, Rickie Lambert, Luke Shaw and Nathaniel Clyne all impressed. Pochettino, after leading them to an 8th place finish, left the club to manage the London based Tottenham Hotspur. Southampton then signed Ronald Koeman before the start of the current 2014/2015 season. Many pundits and football fans acknowledge the transformation that has happened at Southampton. From being promoted only 3 years ago to being 2nd in the Premier League table for a chunk of the season is an incredible achievement. Many feared for the Saints' season after they sold arguably their top performing players in Luke Shaw, Adam Lallana, Dejan Lovren and Rickie Lambert for well in excess of £70 million. However, Koeman made some key signings during the summer transfer window with the acquisition of Dusan Tadic, Graziano Pelle, Saido Mane,Frazier Foster and Toby Alderweireld. They also signed Ryan Bertrand on loan from Chelsea which was made permanent in January 2015 for the fee of £10 million. Southampton started their season exceptionally, remaining second in the league for a sizeable period of time. However, successive tough away games saw them drop down the table. They currently sit in 7th, behind Tottenham Hotspurs. As the Saints prepare to square-up against the rampant citizens, the club's Argentine manager believes that every team has got 'problems' to expose. Southampton Itchen Tories supposedly failed to act on racism and bullying, despite knowing about it. Southampton look set to lose yet another first-team player as skipper submits transfer request today. Central defender and club captain Jose Fonte has handed in a transfer request to Southampton. Tottenham Hotspurs demolished Southampton 4-1 in a match at St Mary's Stadium. Liverpool and Southampton are reportedly going to be involved in this January's biggest transfer. Liverpool run riot as an Origi hat-trick helps Klopp's Reds to hit Southampton for six in the League Cup quarter-finals. On a night of few surprises in the Capital One Cup, Premier League sides dominated. Oriol Romeu is leaving Chelsea after four years in search of first team football. Liverpool is close to sign two more players, as Clyne and Kovacic are almost 'done deals'! The English club was the most profitable from young player transfers between 2012 and 2015.